As a real estate professional. Deadlines, negotiations and inspections are a general part of your every day. 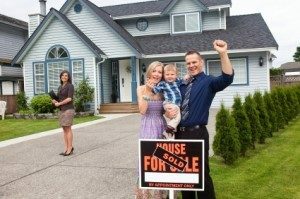 Clients on both sides of the real estate transaction are placing their trust in you as their “REALTOR” that the property they are listing or purchasing will be a safe and healthy environment. When you contract with your home inspector, that trust continues from you to your home inspector. The relationship you make with your home inspector is built over months to years and many inspections. Do you have the same trust in your radon professional? WE ENSURE YOUR TRUST IS PLACED IN THE RIGHT HANDS. RDS has been performing radon testing and radon mitigations since 1978. With 40 years of experience in the radon industry we have been part of tens of thousands of successful real estate transactions over the years. Are you asking the right questions when contracting with a radon professional? How long have they been in business? While radon may often seem like a trade quick money can be made in lives are at stake if your radon professional doesn’t provide proper testing or mitigation. RDS has been in business for over 40 years. Do they have the proper insurance? General Liability/Workman’s Comp. What if they turn off the power to your clients refrigerator or freezer in the basement? Can you be sure they have proper coverage? RDS holds a 3 million dollar insurance policy. Are they a certified radon professional? While certification is not a requirement in Colorado, would you hire a non-certified electrician? Training and knowledge is what sets licensed/certified professionals apart. Our team of radon professionals are properly trained and certified before ever being able to place a test or install a mitigation system. Are the continuous radon monitors (CRM’s) they are placing calibrated each year as required? And do they provide proof of that calibration with every report? Each and every piece of testing equipment RDS uses goes through a strict QA/QC process. A calibration certificate is provided with every report. A report that you and your client can trust is valid and one you can make informed decisions should mitigation be needed. We follow both the ANSI/AARST and ASTM Standards for testing and mitigation. Why cost should not be the only factor to consider when it comes to hiring a radon mitigation professional? If elevated radon is found in your listing or a home your client is purchasing, it doesn’t have to be a deal breaker. Often times people move here from outside of Colorado and are not aware of the high levels of radon Colorado has. We realize that it can be scary for them to consider buying a home that may have a potential health risk. The buyer can contract with a radon professional and ensure the system is properly installed. They have a decision in where the system will be placed and they are informed on how the system works and how to properly maintain the system. The lowest bidder does not win. (While cost is a key factor in the installation of a mitigation system often times it is the only consideration). New homeowners are often left with a system that is improperly installed or one that is causing more harm. Your trust is not misplaced. RDS Environmental is a radon professional you can place your trust in! Contact us today let us show you why we have earned the trust of so many Real estate professionals. 303.444.5253 or Contact Us.